Want to know how to play the keyboard but haven’t got any experience yet? No problem, as today we’re going to look at the first steps you’ll need to take to start playing the correct way. So you’ve bought a good keyboard. 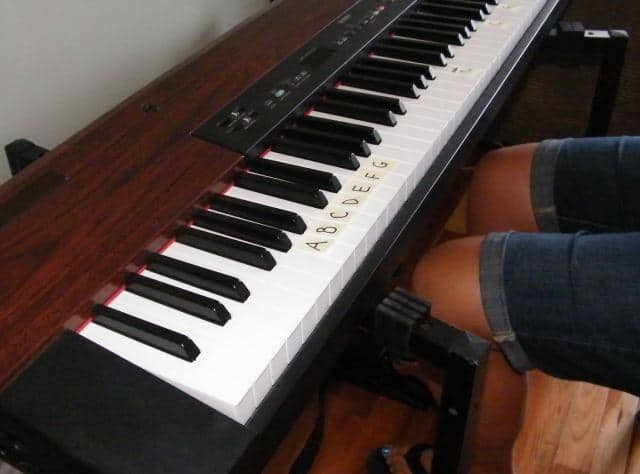 Learning the keyboard is a great foundation for learning other instruments in the future. 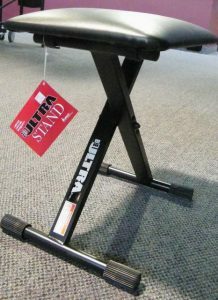 Because of this, it’s the perfect first instrument for kids and adults alike. The below guide is suitable for all ages, and will teach you how to properly position yourself when playing, the musical alphabet so you are comfortable finding your way around the keyboard, and a load of other things that will get you ready to play your first song. Be sure to read to the end for all the tips, and share this guide on Facebook, Twitter and Pinterest if you find it useful. So without wasting any more time, let’s learn how to play a keyboard! While the below isn’t as effective as learning from video lessons, it’ll still go a long way in improving your keyboard skills. Note: This is a guest post written by Riley of Long & McQuade. To begin, you will need a keyboard bench. It is important that you use a bench and not a chair, as using a bench allows for proper posture which will alleviate any aches or stress on your muscles. For a child you may have to add cushions to a bench, or buy an adjustable bench so they can reach the keyboard comfortably. This comes with the caveat that you still need to use proper posture while playing (i.e. no slouching). Even the best bench can’t make you do what you aren’t willing to do yourself. If possible, work with a qualified instructor to find the proper height and position, especially if it’s for kids. Sitting on the front half of the bench will allow you to move freely. This will also create the correct distance from the keyboard. Place your feet flat on the floor, remembering that only a small portion of your knees should be under the keyboard. This should give you the right distance to play comfortably. It may take a while to adjust to this positioning, but keep practicing as it will give you the best posture for playing. General best practice is to sit at around middle C (you’ll find a more detailed explanation a little later). Depending on your keyboard, there will either be fewer keys, or more keys, but finding the middle C should be relatively easy to do. We’ll talk more about the musical alphabet in a moment. To position your hands, start by letting your arms hang to your side. Naturally, your hand will form a “C” shape. Maintain this natural cupped shape while keeping the hands relaxed. 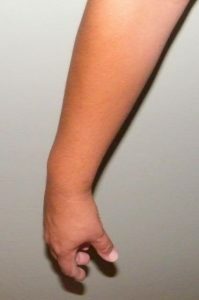 Keep straight forearms and wrist. Keeping this C shaped hand position, place your hands on the keyboard in front of you. Be sure to keep your wrists straight as well as your forearms. If you are not playing notes immediately in front of you, lean your body in the direction that your hands are playing to avoid twisting the wrist. Hand positioning is critically important, and will help you reduce the risk of repetitive stress injury, carpal tunnel syndrome, and so on. Beware of overplaying, especially when you’re first getting started, and check often to make sure you’re keeping your forearms and wrists straight as you practice the keyboard. Body position at the keyboard. It is important to maintain good posture while playing the keyboard and to sit tall. Lift your shoulders up to your ears, and then let them fall. Keep the shoulders relaxed. If you are too stiff, you will find that your muscles will feel strained when playing, and no one wants that. Although your tendency might be to tense up as you play (particularly when you’re playing a difficult passage of music), instrumentalists rarely play at their best when they are rigid and taut. Learn to relax. Your elbows should be at approximately the same height as the keys. 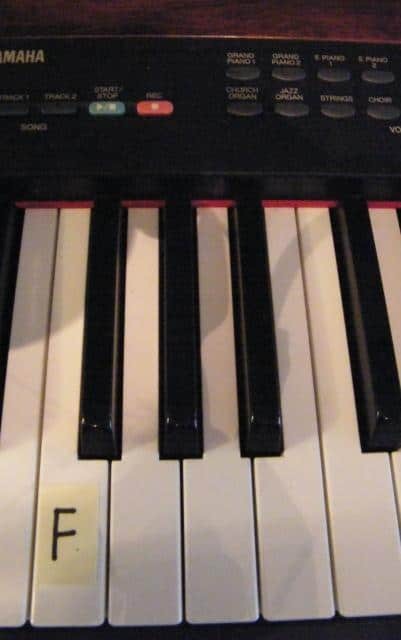 Sit at the middle of the keyboard, which is around notes E or F, and above middle C.
If you aren’t sure of where the notes are yet, don’t worry. We’ll show you how to find them below. Have your fingers placed inside black keys. 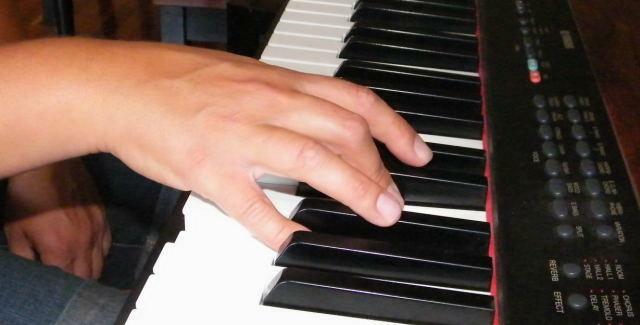 Another tip is to play on the padded part of your fingers, rather than on the very end of your fingertips. This will allow you to move your fingers around the keyboard quicker, as well as get the necessary force needed to impact the keys. This will feel a little weird at first, but good technique often does when you’re first getting started. Just stay with it, and you’ll begin to feel more comfortable with it. Good technique is essential to good performance. 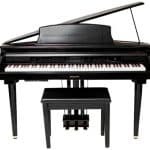 In order to understand where each note is on the keyboard, you need to know that there is a “seven note musical alphabet”. This consists of the notes A, B, C, D, E, F and G, using white keys only. After the note G, the alphabet begins all over again. To find the note “A”, find a group of three black keys. A is between the second and third black keys as shown in the above image. Like I’ve done, you may also want to mark your keys initially until you learn where each note is off by heart. You can do this by writing the letters A to F on small pieces of paper, then sticking them to the relevant keys on your keyboard. Now, you might be wondering what the black keys are for. 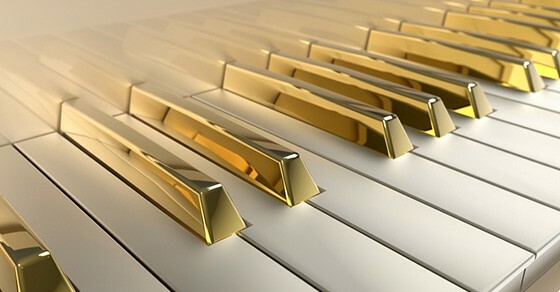 Our focus right now is the white keys, which are also known as “natural notes”, so there’s no need to memorize what notes the black keys are just yet. But these are not minor notes as some people think, and they aren’t “bad” sounding notes either. You could call them “accidental notes”. 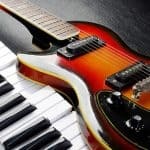 When played in the right context, they are just as effective as the white keys, though they sometimes provide a challenge in terms of reaching them and incorporating them in your playing. When practicing the keyboard, “A” isn’t necessarily the best note to start on. But it teaches you how the musical alphabet works, so that’s why I gave the above example. Next, familiarize yourself with the note C. Note C is a central note that will allow you to get your bearings a lot quicker, so it’s worth learning. 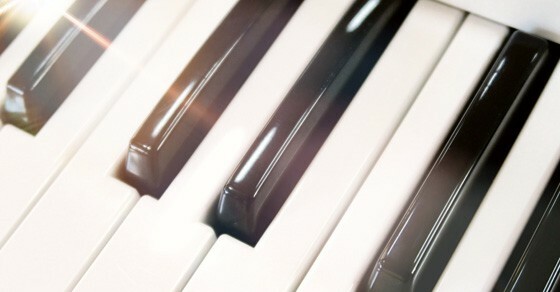 C is always the white key to the left of a group of two black keys. Each C is an octave (eight notes) apart. I advise you play each C on the keyboard and get a feel for the positioning and the distance. We talked about how there are only seven notes in the musical alphabet. So, what this means is that, if you start on A, and you play to G (like in the above image), the note following that will be A again. In this way, notes keep repeating up (and down) the keyboard. So, finding all the Cs on the keyboard shouldn’t be too hard, you just have to look for the patterns. As I mentioned, C is the white key on the left of two black keys, no matter where you are on the keyboard. Okay, here’s one final tip before you’re ready to start playing the keyboard. As with the C note, it’s important you learn the F note. The positioning is relatively easy to remember, as the note F is always before a group of three black keys. Find and play each F note on the keyboard to become familiar with it. As with the C note, each F is an octave apart (meaning seven notes above or below). In this way, you can continue to memorize the positions of the entire musical alphabet. If you want to earn extra points at this stage, try finding all the As, Bs, Ds, Es, and Gs, on the keyboard as well. You don’t need to do this before moving onto the next step, but it’s fun and easy to do. Give it a try, and test your knowledge. 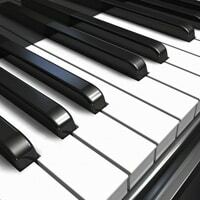 Piano music is written in standard musical notation, which consists of five lines. You don’t need to know what these lines represent just yet. But one thing you should learn at this stage is what whole notes, half notes, and quarter notes are. First, have a look at the above image. You can see how a whole note, half note, and quarter note all look a little different when written out in notation. The whole note is a dot with an empty middle. A half note is like a whole note with an arm stretching upwards. A quarter note is a half note except with a filled (black) dot. Now that you can see the difference between each, let’s explore how they work. A whole note lasts for four beats. So, try playing a C and count to four at an even tempo (in other words, make sure each “beat” has the same duration). A half note lasts for two beats. Now play an E for two beats, and another E for two beats. So, between the Es, you would temporarily lift your finger (after counting to two). This doesn’t mean that you should only count “one, two, one, two.” Even when playing half notes, count to four. A quarter note lasts for one beat. For this next exercise, play a G note for a beat, and do this a total of four times. Again, between each G, lift your finger (after counting to one). Again, remember to count to four instead of just counting “one, one, one, one”. You’ve just learned the basics of rhythm, a very important concept in music. Congratulations! So far, we’ve learned body and hand position, the musical alphabet, and a few basic music theory concepts. But we haven’t done much playing yet, and that’s the fun part, so let’s start off with something simple. You remember where the middle C is, right? We’re going to start this exercise at C, so double check and make sure you know where that is. In this exercise, you’re going to be using your thumb, index finger, and middle finger to play C, D, and E. By now you should know that all these notes are side by side. 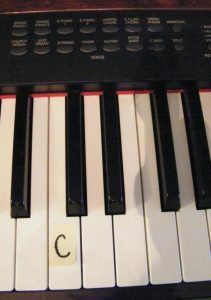 The first note is C, the white key next to it is D, and the white key following that is E.
Starting at middle C, play C with your right-hand thumb, D with your index finger, and E with your middle finger. Try that a few times, and once you’ve gotten the hang of it, try it at different positions (octaves) on the keyboard. Remember, whenever practicing an exercise like this, start slowly. You don’t want to strain your hand or fingers, and slowing things down will give you more control. Now here’s one final challenge. So far, we’ve focused on you right hand. But you can play notes with your left hand too. So, try the same exercise with your pinky (C), ring finger (D), and middle finger (E). Again, try it at different octaves. As you can see, this is only the beginning of things. If you want the best way to learn how to play keyboard fast, you’ll want to check out these video lessons now. Now that you are familiar with the white keys, use three fingers to practice your first C major chord, which consists of the notes C-E-G. Use your thumb, middle and pinky fingers to play this chord. Author Bio: This guest post was written by Riley, a striving musician, part-time blogger, and a lover of musical instruments such as the keyboard. Please check Long & McQuade for more of her writing. I am planning to learn a keyboard on my own. I just wanted to know the best keyboard for a beginner. I was thinking of buying a second hand keyboard for (less than 5000 Rs) and once I learn something then I can buy a new one, I just wanted your suggestion. Also any suggestion for which keyboard to get will be much appreciated. 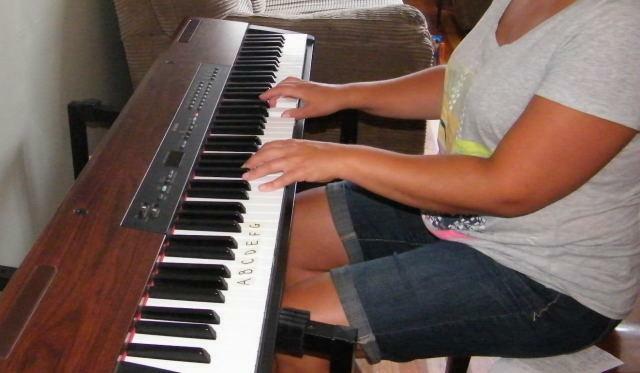 Great tutorial with photos illustrating the first steps on learning to play the keyboard! Flow takes time to perfect, you just need to keep practising and trying to stay in time with the beginning of each ‘bar’. Listen to the timing of established singer, and sing the same song using the same timing as them. Do this for a number of songs till you can match the singer of the original song in terms of time. That’ll teach you how to stay in time more, and give you a better idea of how timing works.